The ultimate Hawaiian experience! No other Kauai boat tour company offers this epic trip daily! Our exclusive boat tour begins with a continental breakfast as we head north to the majestic Napali Coast for sightseeing and viewing waterfalls, local marine life, lush valleys, and sea caves. After you experience the beauty of the incredible Napali Coast, we will head across the channel to the “Forbidden Island” of Niihau. We will stop at the best snorkel location for the day, typically around Lehua Crater, off of Niihau’s north shore. Here you will experience some of Hawaii’s most remote and pristine snorkeling. 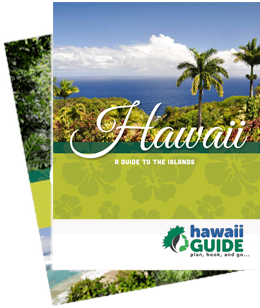 No other place in Hawaii offers such a unique experience with over 100 feet of water visibility, weathered lava formations, protected marine life and the largest native bird sanctuary. After snorkeling at this epic location you will have a gourmet deli-style buffet lunch, including a variety of deli meats, cheeses, veggies and breads in addition to fresh fruits and pasta salad. Assorted soft drinks are served throughout the tour, with beer and wine served after snorkeling. Make your reservations online and save $15 per person! Note that tours often fill up 3-5 days in advance. Booking your tour early in your vacation window is a good idea in case weather forces us to postpone your tour. This content is sponsored by Niihau & Napali Coast Boat Tour. Guide of US is a travel destination media and marketing company that receives compensation from companies or organizations whose products or services are promoted on this site. We review and evaluate the services of each company to ensure they meet our highest quality standards for travelers. We are independently owned and any opinions expressed herein are our own.